North West Australian Safaris is a locally owned operator with over 20 years experience in the Cape York tourism industry. We pride ourselves on taking travellers to some of our favourite parts of Australia, to share an appreciation of the beauty, history and culture of our unique country, whilst providing an unrivalled level of customer service with friendly, knowledgeable and experienced guides. Guests leave with lasting memories and a desire to experience more of this great country - Australia. Each North West Australian Safaris guide is a local with extensive experience exploring and guiding tours through the World Heritage listed Wet Tropical Rainforests of North Eastern Queensland and the Cape York Peninsula; they also have a Certificate IV in Tourism including 4X4 Off-Road Training, Senior First Aid and CPR Certificates. One of our local guides has won the coveted Cairns Tourism Kamsler Award 'Promoting Excellence in Tourism'. Vehicles are all to Queensland Transport standard and we carry satellite phones and hold all the required National Park permits. Thesafety of our clients and guides is of paramount importance at all times. My own love of the land and respect of its special places has led me on many journeys of exploration as an adventurer, as a tour guide, and now as a local tour operator. I have felt connected to nature from an early age as I was raised on a north Queensland cattle station in close association with the aboriginal people of the area. In my early 20's I travelled throughout Afghanistan, Iraq, Northern Africa and Europe. I sailed throughout the Pacific Ocean including the Solomon Islands and Papua New Guinea. These journeys fuelled my interest in exploring my own country and learning more about its Aboriginal culture, and ultimately encouraged me to share my enthusiasm and knowledge with others as a tour guide. With my own enthusiasm for travel, and with over 20 years experience in the local tourism industry, myself and my team of North West Australian Safari guides deliver unique tours of an exceptional standard to clients from the domestic and international markets; to small groups, VIP’s and also private and exclusive charters. I am also very fortunate that my business has encouraged me to further explore, and indeed benefited from my love of nature. 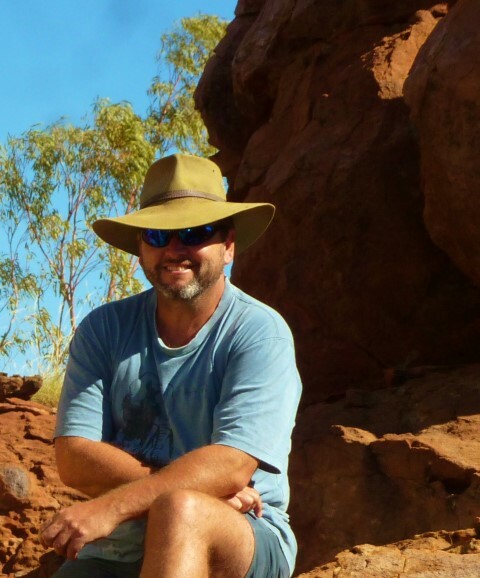 I have guided tours in many diverse Australian landscapes including the Australian Outback and Cape York Peninsula, Arnhem Land, Uluru (Ayers Rock), The Deserts of Western Australia, and the Daintree rainforest, considered one of the oldest ecosystems on the planet. In 2016 I was honoured by Mark Chipperfield, former foreign correspondent and then the London Daily Telegraph's travel expert in Australia. In his article for World Travellers Magazine I was mentioned as one of 'The Magnificent Seven (Australian Guides)’. I have a Wet Tropics World Heritage Tour Guide Accreditation and a Certificate IV in Tourism Guiding. 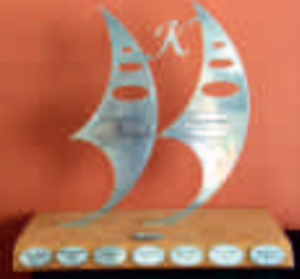 I have also been award the 'Cairns Tourism Association’s KAMSLER Award ‘Promoting Excellence in Tourism', and I also hold Senior First Aid and CPR Certificates, a Medium Rigid Drivers License, Queensland Drivers Accreditation and an Australian government-issued Blue Card for working with young people. I pride myself on taking travellers to some of the diverse parts of Australia; to foster an appreciation of the unique beauty, history and culture; and to have a truer understanding and respect for Aboriginal Australians and their land that we work in. My team and I strive to leave our clients with lasting memories and a desire to experience more of our great country – Australia. Born and bred in Bundaberg, South East Queensland I was lucky to grow up along the coastline with the largest sea turtle rockery on the east coast of Australia. The majority of my career has been involved with ecology in one field or another, beginning with Mon Repos turtle rockery as a volunteer researcher for 4 seasons. That was my first taste of tourism and educating the public. This led to my move to North Queensland where I have been involved in Wet Tropics research such as frog monitoring, fauna surveys and weed control. I also specialized for 5 years in nocturnal tours, spotlighting for rare and endemic wildlife. As a naturalist guide my career is driven by my love for the environment, marine and land. 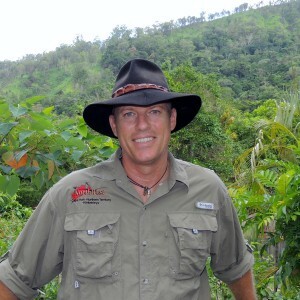 I thoroughly enjoy working as an interpretive tour guide in Cairns and surrounding regions with North West Safaris, taking diverse groups of people into remote areas and educating them on such issues as biodiversity, native flora, fauna and environmental responsibilities. During my work as a North West Australian Safaris guide I have extensively explored the tropical Far North Queensland including the Tip of Cape York in Queensland. I have also been fortunate to work as a guide in other incredible locations in Australia including the red centre and Uluru (Ayers Rock), into Dinosaur country at Winton, Tasmania and many more. I have been privileged to experience the Indigenous culture of this land. As a result I have great respect for these people, continually learning more about their bush tucker and medicine. I dabble in playing didgeridoo and boomerang throwing. My travels have taken me through South America, Papua New Guinea and New Zealand. I enjoy on a personal level horse riding, camping, birding, kayaking and star gazing. I thoroughly enjoy working in my office – the great expanse of Far North Queensland; I have a career that others dream of. I have a thirst for knowledge and I love sharing this knowledge and passion for Australia’s wild places. 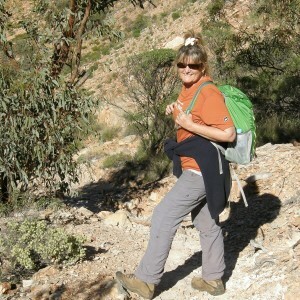 I have been a tour guide for 12 years - in Central Australia, Northern Australia, Southern Africa and East Africa. My extensive time spent in the outback of both Australia and Africa sharpened my skills and ability in animal tracking and spotting. Now, I am very excited to be joining the fun and highly experienced Cape York team of North West Australian Safaris Australia. My love of the outdoors and all things wild stems from my varied and fulfilling life experiences: ranging from serving my country in the Australian Regular Army; spending 2 years on a wildlife reserve in Zimbabwe working in lion conservation; and 4 years in zoo keeping specializing in big cats (lions, tigers and cheetah). I was born in a little town at the foot of the Blue Mountains in NSW and have travelled extensively throughout Africa, North America, Europe and Australia. My personal interests include travelling, scuba diving, photography, reading and whenever I can – spending time in the bush. My qualifications include Certificate IV in Tourism, Senior First Aid & CPR, 4X4 Off-Road Training, and extensive personal research to Natural History, Australian and African Flora and Fauna, Military History and Geology. I have a love for this country and helping people get the most out of exploring it. After working for three years in the financial sector I decided to follow my passion. I began work on the goal of getting to know Australia like the back of my hand and sharing a love of country, culture and nature with anyone who wants to experience it. Helping people to enjoy, appreciate and learn more about all aspects of this country has been the main highlight in an 18 year long career as a tour guide. Through this time I have worked with children, families, retirees, including people from all over the world. 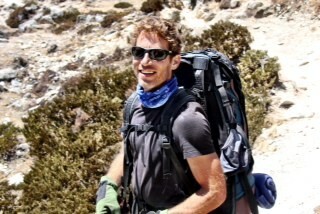 It has been a joy to watch as my guests and newfound friends partake in unique experiences and rekindle a love for the outdoors. My guiding has taken me through all of the states of Australia, both on land and in the water. It has included cross country bus tours, hiking tours, bike riding tours, kayaking tours and outdoor educational programs for schools. Even though I have been doing this for nearly two decades I am still learning about people, places, nature and human nature. Every touring experience allows for more learning experiences for both my guests and myself. It is an extremely beautiful gift to have the honour to show people around this country and give them a once in a lifetime experience. This is a passion that I am extremely thankful to have and to share in my role as a Cape York tour guide for North West Australian Safaris.